Photo 1. 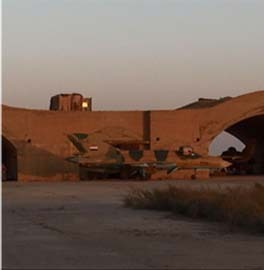 Soleimani delivering address today, according to Iranian media. 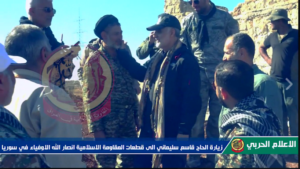 Qassem Soleimani, the chief of the Islamic Revolutionary Guard Corps’ (IRGC) extraterritorial branch the Qods Force, appears to be in Iran after a separate trip to Syria last month. Soleimani delivered an address today at a martyrs commemoration ceremony, according to Iranian media, during which he discussed “the advances of Islam’s corps and back-to-back defeats of Global Arrogance [West]” in the Middle East. 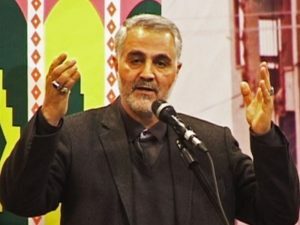 Soleimani credited the leadership of Supreme Leader Ayatollah Khamenei, who is “assisted with divine approval,” as “the primary factor of power” for important victories. 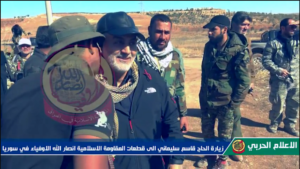 The lack of such leadership is the “enemy’s primary weakness,” according to Soleimani. “We all wish that our lives are lessened moment by moment and added to the life of the dear leader of the revolution,” he declared. 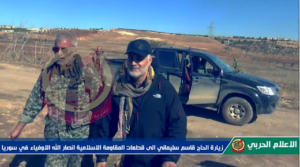 Approximately three weeks ago, photographs surfaced on social media showing Soleimani in eastern Aleppo and by the Old Aleppo Citadel after the Syrian government and its military partners conquered the area. 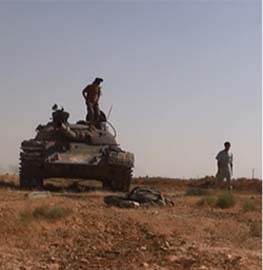 Western and Iranian media outlets widely circulated the images. 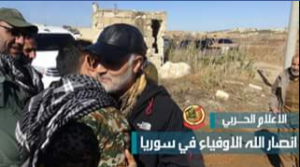 Several days after those images appeared from eastern Aleppo, IRGC-backed Iraqi Shiite militia Harakat Ansar Allah al Awfiya (“the Movement of the Loyal Partisans of God”) posted images of Soleimani on Dec. 21 apparently visiting the group’s Syria contingent, Harakat Ansar Allah al Awfiya fi Souriya, near Aleppo (photos 2, 3, 4, and 5 below). 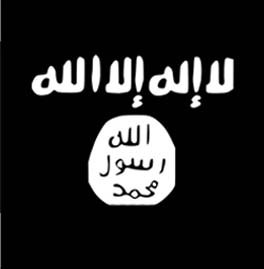 The exact date the images were produced was not immediately clear. 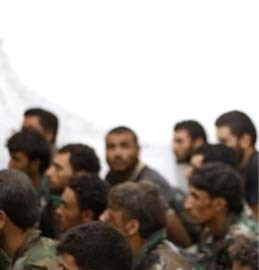 Tasked with executing Iranian strategy in Syria, Soleimani leads a Shiite foreign legion waging jihad under the call of defending the Sayyida Zaynab shrine in Damascus. 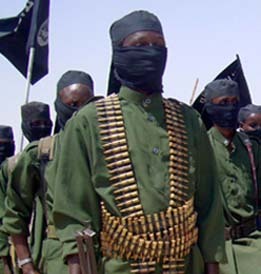 The international expeditionary force also fights on behalf of the embattled President Bashar al Assad. Soleimani’s travels outside of Iran violate an international travel ban in effect until 2020, under United Nations Security Council Resolution 2231, which endorses the 2015 Iran nuclear deal. Re: the exalted Supreme Leader … about a decade ago, a section was set up inside Khamenei’s office for “researching the deepest meanings” of Khamenei’s writings. Problem was, except for translating other men’s works, he hadn’t published anything. 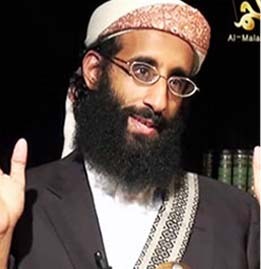 Especially compared to the late Montazeri, he’s a back-country preacher, and he knows that. Soleimani’s praise is interesting – a further deification of the old man who’s done so much to help his friends and supporters in the IRGC.